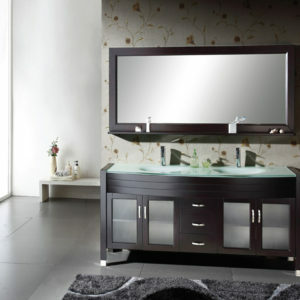 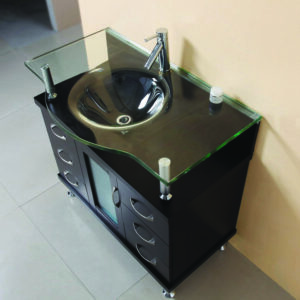 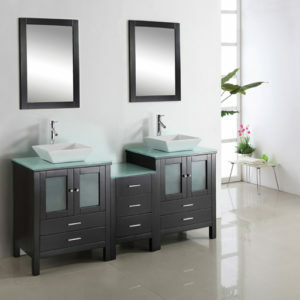 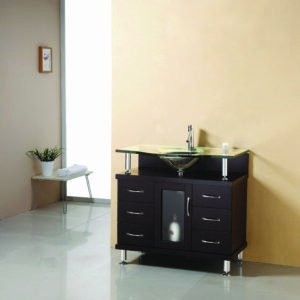 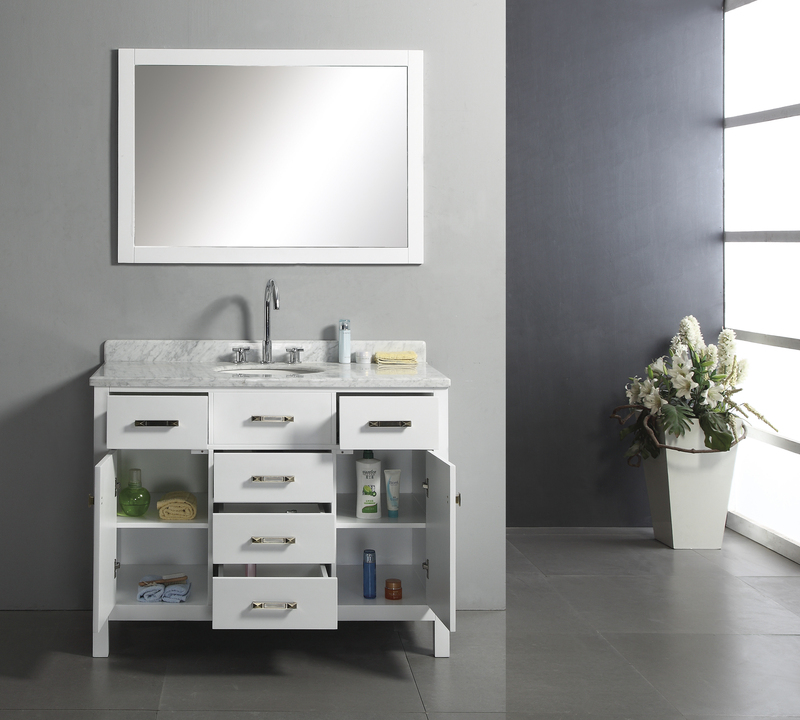 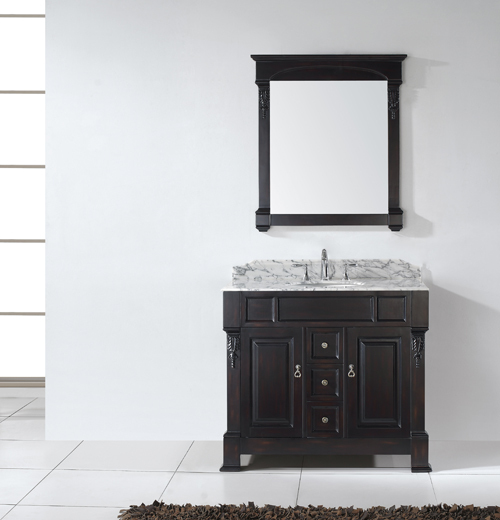 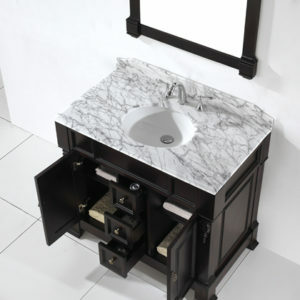 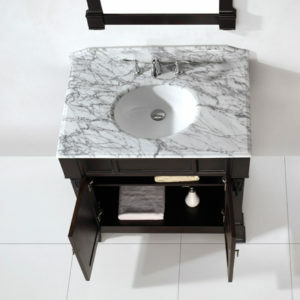 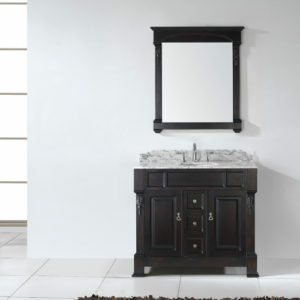 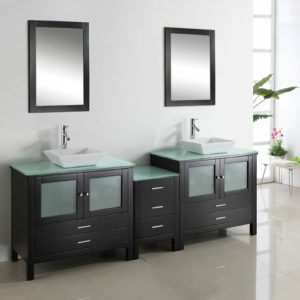 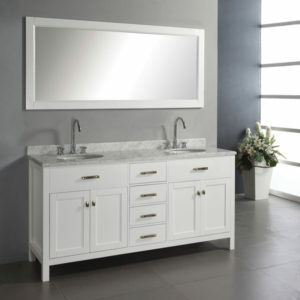 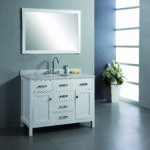 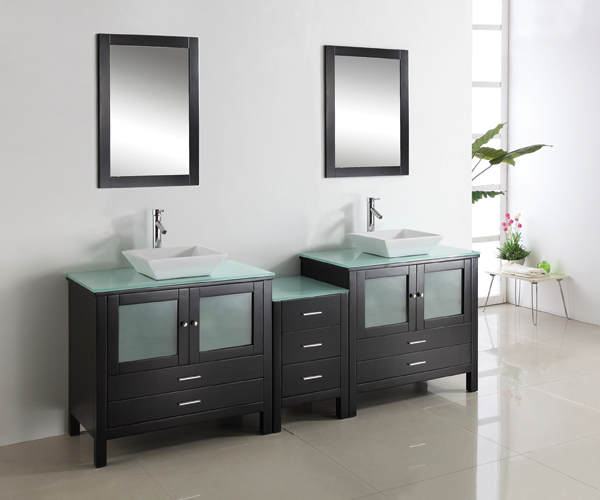 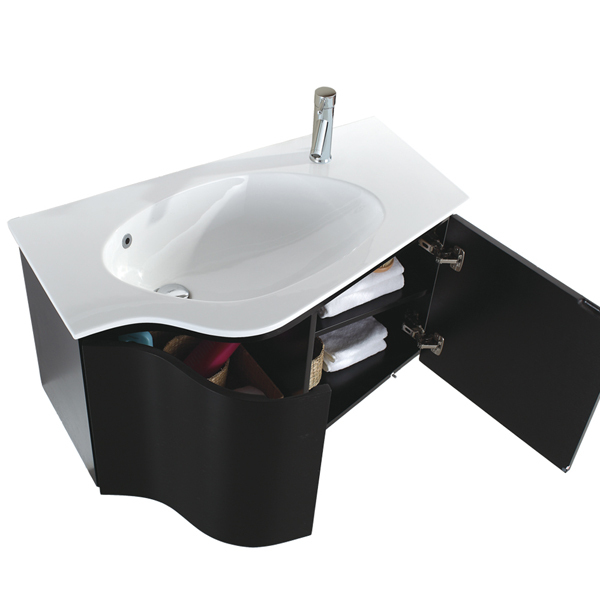 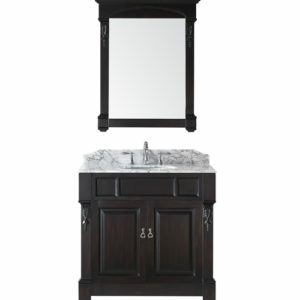 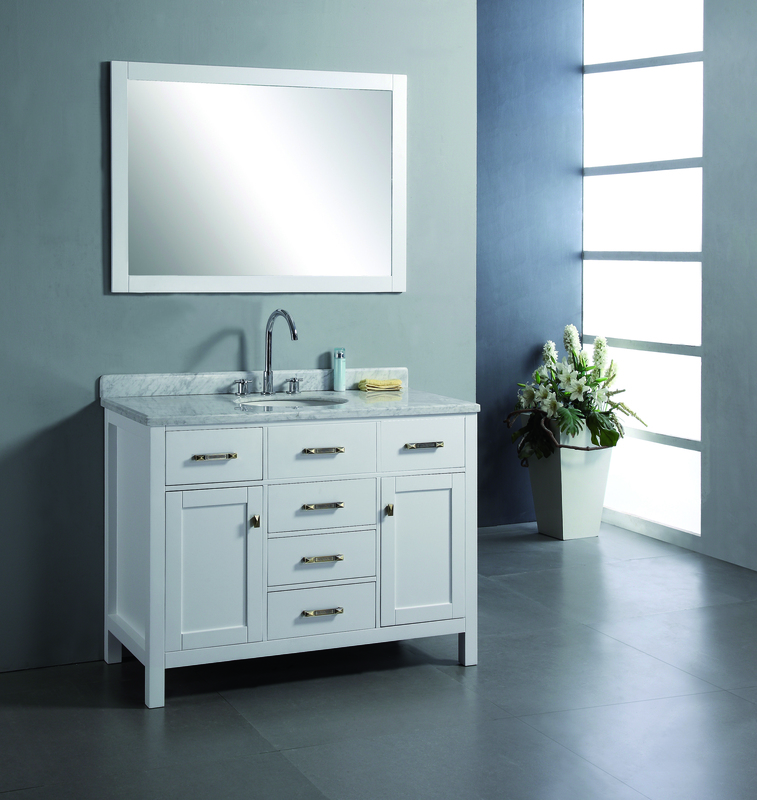 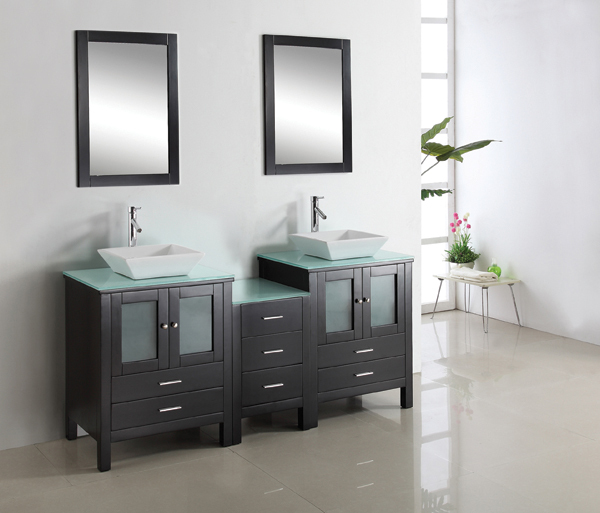 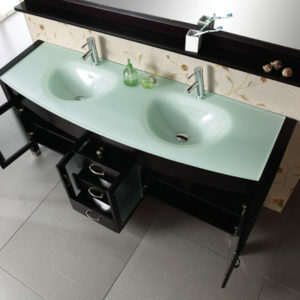 The Caroline vanity has a beautiful, clean design that will rejuvenate any bathroom. 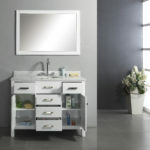 It is constructed from high quality solid oak wood and finished in elegant white. 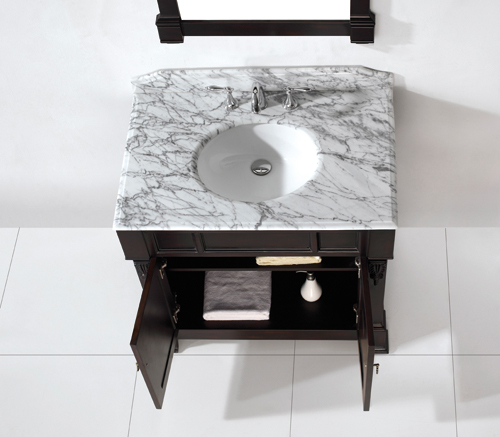 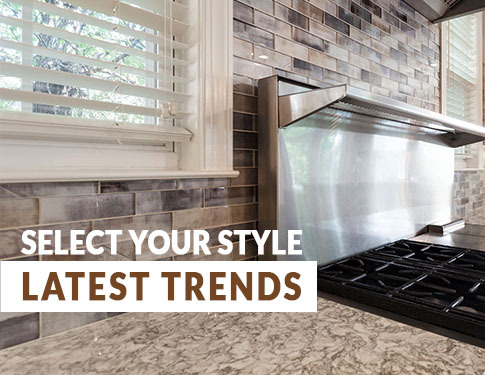 The Caroline is further enhanced with an Italian Carrera marble top and designer brass hardware. 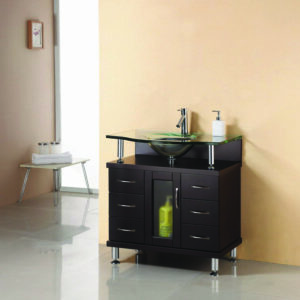 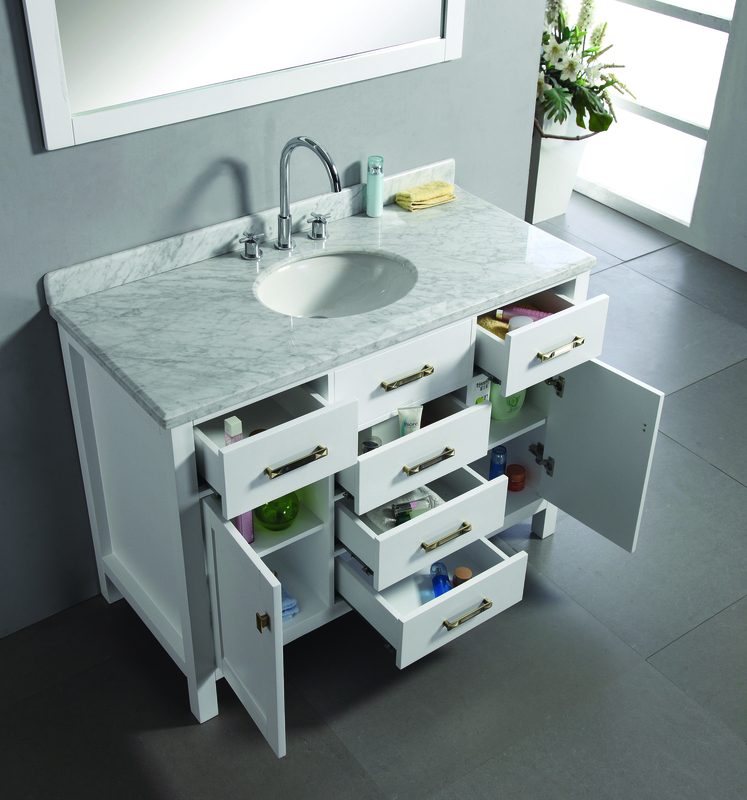 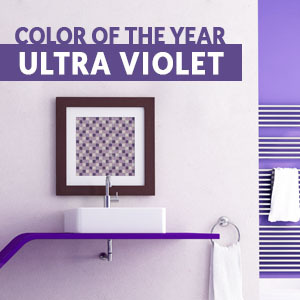 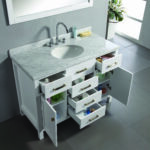 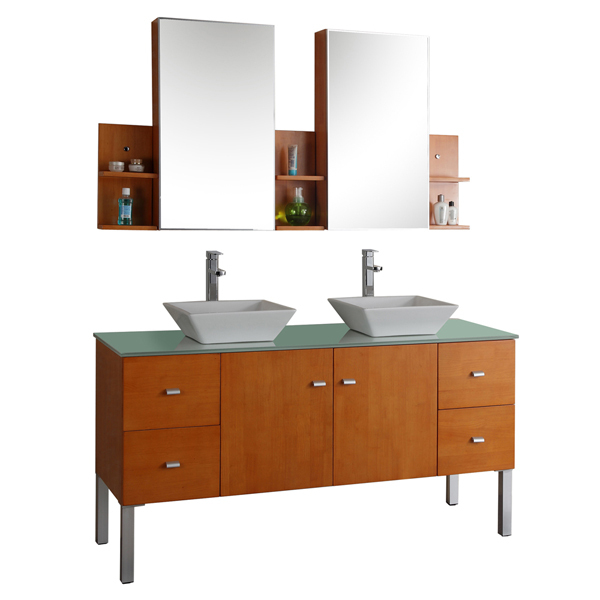 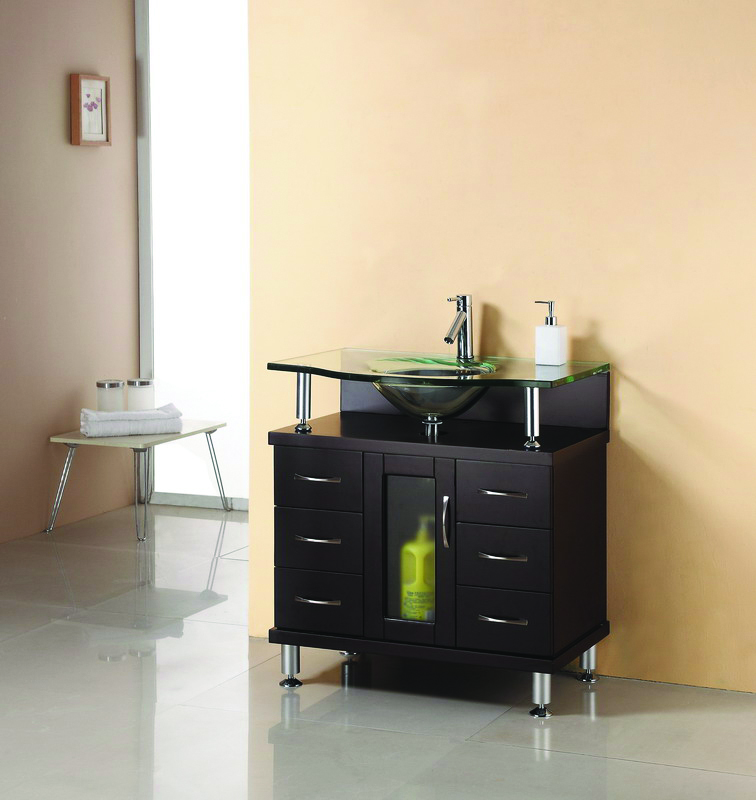 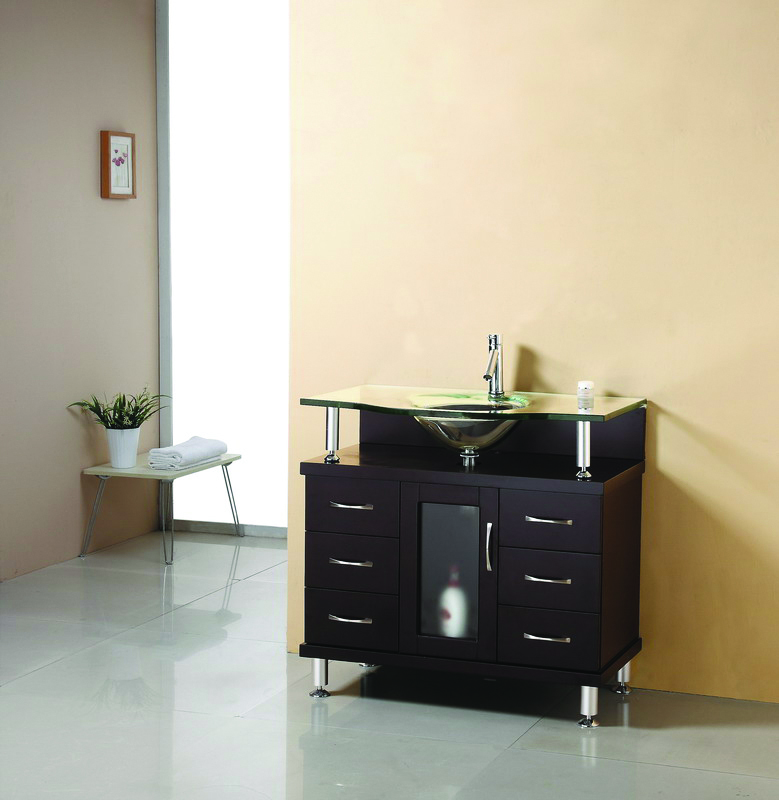 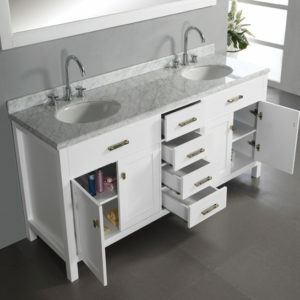 The Caroline offers simplistic beauty and abundant storage that will enrich any bathroom. 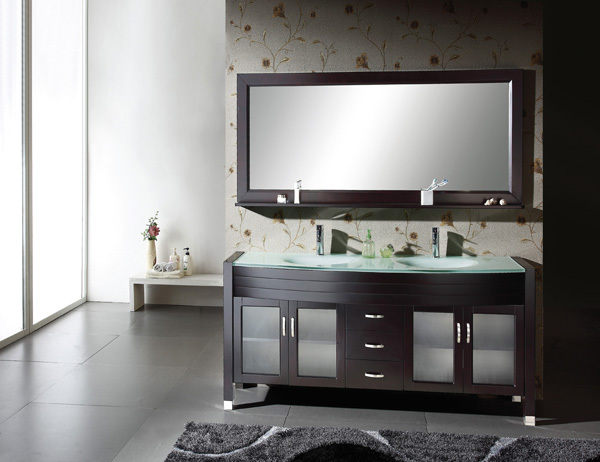 ES-1236CH - Chestnut ES-1236ES - Espresso ES-1236WA - Walnut"